Anyone planning a nautical themed 4th of July party or maybe just a fun summer party with family and friends? There's a brand new collection from Janie and Jack and I LOVE it. You could even dress siblings in matching outfits or mix-and-match from the newest collections as nearly all the outfits come in sizes from 3-6 months all the way up to size 12. 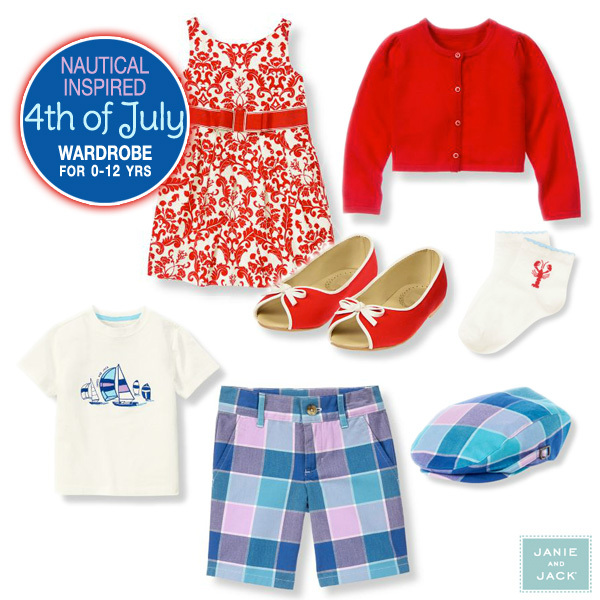 The new Janie and Jack Nautical Breeze collection for girls features the most adorable preppy styles inspired by the East Coast with stripes and iconic lobsters. And, the Sail Away collection for boys features seafaring stripes, sailboats and classic plaid in cool ocean hues.